An ancient Egyptian bangle with small inset gemstones in an intricate design. Jewelry made with precious materials has always been part of our fashion repertoire because of its value, its rarity, and its enduring beauty. We have included a brief catalog of Jewelry periods and styles to give you an idea of how emeralds have been cherished and worn throughout the ages. Emerald jewelry made more than one hundred years ago is considered antique, and jewelry from twenty to one hundred years old is more properly termed “vintage.” Fine antique emerald jewelry is very scarce and valuable. 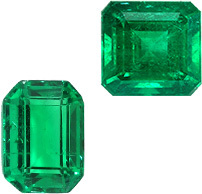 Many of the truly great emerald jewels reside in museums, vaults, and state collections. If a quality antique piece does come on the market, it demands high prices, especially if it features large natural stones or if it has an unusual history. An ancient map of the Nile River with oases depicted on each side. Despite ancient misconceptions about the relationship between emerald and other green stones, we know that true emeralds were mined in ancient Egypt. To the ancient Egyptians, green was a sacred color associated with the fertility of the land annually flooded by the Nile. 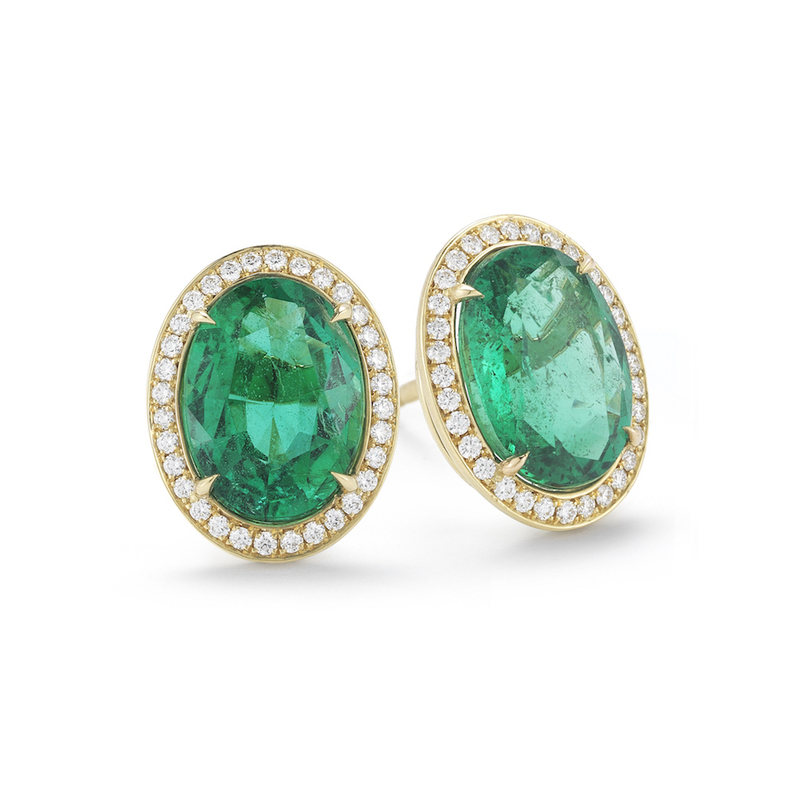 In the earliest times, only the pharaohs were allowed to wear emeralds. 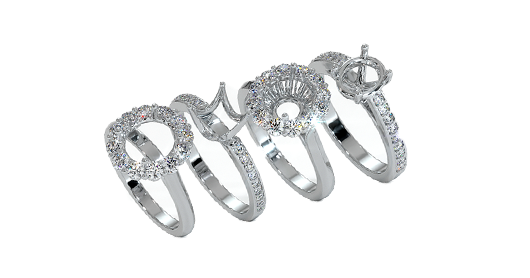 Some were set in rings, which were worn on the tips of the finger as opposed to the base. Egyptian kings were also buried with an emerald, a symbol of eternal life. In fact, a fine necklace from the 14th century B.C. was reportedly found in the tomb of King Tutankhamen. An Egyptian revival necklace featuring carved scarabs set in filigreed gold. Emeralds were used extensively in Egyptian revival jewelry of the late 19th and early 20th centuries. The spectacular horde unearthed from Tutankhamen’s tomb in 1922 inspired Art Deco designers who enthusiastically embraced Egyptian themes and motifs. This mosaic from Pompeii illustrates Roman jewelry fashions around the 1st century C.E. Emeralds were well known in classical Greece and Rome and like the Egyptians, the Greeks and Romans attributed healing, talismanic, and astrological powers to their gems. Much of the jewelry of the period is characterized by the extensive use of engraved seals and gemstones. Authentic jewelry from this period is exceptionally rare, but we do know that classical artisans were fine metalsmiths. Ancient goldsmiths practiced the art of granulation, a difficult technique that ornaments surfaces with gold beads. Granulation is most often associated with the Etruscans, who occupied northern and central Italy before the rise of Rome. They learned the technique from the Phoenicians, who in turn carried it from Egypt, but it was the Etruscans who raised the art to its greatest heights. An ancient Roman emerald, pearl, and gold ring. Renewed interest in classical themes and motifs was experienced during the Renaissance. 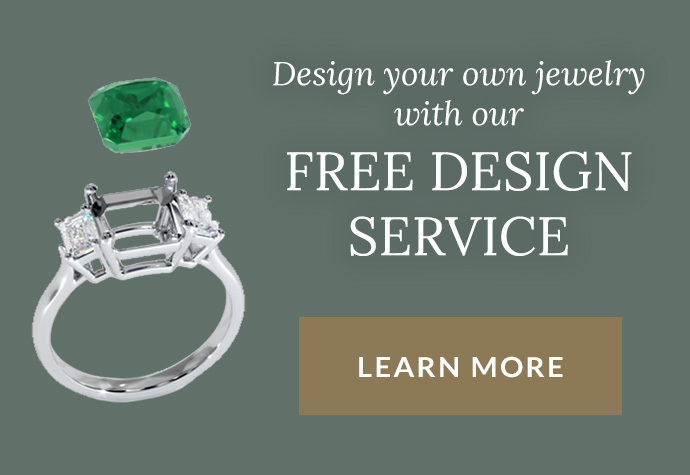 More recently, increasing demand for classically inspired jewelry has spurred the production of contemporary granulation-based emerald settings, and modern goldsmiths are happily rediscovering this ancient art. A 3rd century gold and emerald earring. The Roman legacy in Europe continued in the Early Middle Ages with techniques of filigree gold, cloisonné work and the use of cabochon gems. The jewelry of this period was primarily associated with clothing and it included clasps, brooches, belt buckles, and buttons. Cameos and intaglios inherited from the Romans were used a great deal in jewelry. By the High Middle Ages, precious stones had become more widely available, at least in important European cities that traded with the East, and the gem and jewelry industry was increasingly regulated. An English crown, probably owned by Richard III or Anne of Bohemia, circa 1370. In 1331, an edict was passed in Paris against the use of paste gems. In 1355, jewelers were forbidden to put tinted foil under gemstones to improve their color. Although sumptuary laws mandated that precious gems be reserved for the clergy or aristocracy, the use of jewelry and the amount worn increases throughout the period. In 1363, Edward III of England’s statute de victu et vestitu decreed that craftsmen, yeomen, their wives, and their children were not permitted to wear articles of gold or silver. Knights were not allowed to wear rings or brooches made of gold or set with precious stones. Only merchants, owners of land and their families were allowed to wear clothes and headdresses adorned with silver and precious stones. Anne de Beaujeu, detail from the triptych of the Maître de Moulins (c. 1498). In court jewelry, crowns, hats, and other head ornaments were encrusted with fine stones, including emeralds, rubies, sapphires, pearls, and diamonds. Men wore jewel-encrusted clothes, necklaces, and belts. In the late 14th century women’s hair was padded over the ears and held in place with heavily jeweled gold hairnets. Jeweled reliquaries were worn around the neck and a variety of brooches and badges were worn on dresses with low necklines that were embroidered with silk and sewn with jewels. An Indian Mughal pendant piece that could be used as kundan jewelry. Although indigenous Indian kingdoms had strong jewelry traditions, ironically, the best recognized and most collectible of all antique Indian jewelry styles was developed by foreign conquerors called the Mughals. During the Mughal period, from 1504 to 1707, the Muslim imperial courts that dominated northern India were awash in opulent personal ornaments. Mughal jewelry mixes colored stones and diamonds in elaborate, abstract patterns. Mughal patrons favored the colors red, green, and white, so rubies, emeralds, diamonds, and pearls were the predominant gems. In many cases precious stones were accompanied by intricate and colorful enamel work. Complex gold settings were worked in a uniquely Indian style called the kundan technique. A carved emerald that could be used for many ornamentation purposes in Mughal pieces. During the Mughal period, men wore as much jewelry as women. Mughal jewels included rings, necklaces, and earrings, as well as sumptuous sword hilts, scabbards, aigrettes (turban ornaments), brow pendants, anklets, and nose ornaments. Even furniture and the interiors of palaces were adorned with precious gems. The great production center for Mughal jewelry was the beautiful “Pink City” of Jaïpur in Rajasthan, which even now remains a major hub for traditional Indian jewelry manufacturing. Authentic Mughal jewelry is rare and extremely valuable. When it does enter the market, it is typically through one of the major auction houses. A great deal of modern Indian jewelry is made to imitate the Mughal style, which has grown in popularity outside of India as well. India has a thriving indigenous jewelry market, and a large percentage of a family’s accumulated wealth is sequestered in the gold ornaments of the women. Today India consumes emerald in quantities, and is also a major source of the emerald beads used in jewelry. A portrait of King Henry VIII in a selection of his elaborate jewels by Holbein. During the Renaissance, metalsmithing and stone cutting in Europe made great strides and jewelry ownership began to spread beyond the aristocracy and clergy. Although Henry VIII wore as many gems and jewels as his wives, by the end of this period, women’s adornment was far more elaborate than men’s—although the men still wore heavily embroidered clothes. Renaissance jewelry borrowed heavily from classical motifs in sculpture—nymphs, centaurs, griffins, satyrs and other classical subjects enter the iconography of jewels. Heavy gold chains and collars were popular, especially among women, and elaborate pendants gradually overtook the traditional brooch. Eleanor of Austria wearing the jewelry fashions of the day (c. 1525). It is during this period and the next that vast quantities of emeralds began to flow into Europe from the New World. The conquistadors scoured the New World for emeralds and other plunder, fueled in part by fabulous legends of great wealth. Joseph d’Acosta wrote that the ship that returned him to Spain in 1587 carried at least two hundred pound of emeralds. Initially, emeralds from the New World were worn exclusively by members of the Spanish royalty. The fashion at Castile in the 16th century was for dark clothes with white lace collars so tall that only the face and hands were exposed. Emerald jewelry helped to brighten the drab attire. By the end of the 16th century, this style had spread to nearly all the European courts, as did the craving for emeralds. A French chatelaine with a watch and large pendant drop. Around the first quarter of the 17th century, women reacted against the stifling dresses and multitudinous ornaments that had characterized the Renaissance style. Fashions emphasized instead soft, flowing draperies and simpler jewels to match. Men wore elaborate buckles on shoes, at the waist, and to fasten bands of velvet or embroidered cloth around the neck and the wrists. Empress Josephine portrait wearing one her famous festoon necklaces. It can be said that the 19th century began with the French revolution, and Empress Joséphine, Napoléon’s wife, gives us ample illustration of the jewelry and clothing fashions of the day. Deep décolletages were perfect for displaying the large pendant or heavy festoon necklaces, which were in vogue. Parures were also in vogue, and both Empress Joséphine and her successor, Empress Marie-Louise, had notable ones made of rubies, diamonds, and emeralds. The period is characterized by romanticism and a Gothic revival. Napoléon’s Algerian campaigns also influenced European jewelry, and elaborate knots and tassels were incorporated into designs for earrings, brooches, pendants, and gold hairpins. An example of a Victorian emerald, diamond, and sapphire ring. The Victorian era can be broken into three distinct periods: the Early Victorian or Romantic period (1837-1860), the Mid Victorian or Grand period (1860-1885), and the Late Victorian or Aesthetic period (1885-1901). In the early 19th century, the ideal woman was a decorative showpiece, the vessel on which the wealth and prosperity of the family was prominently displayed. Jewelry was regarded as an essential component of the dress of the middle and upper classes. Among those classes, it was traditional for the groom to present the bride with a casket of jewels, called a corbeille, as part of the marriage agreement. The corbeille of the extremely rich and famous were detailed in ladies’ fashion magazines, which were consulted by all for information on what was new and socially acceptable. A demand for superior craftsmanship emerged along with a taste for the exotic, which was spurred through contact with the cultures of the British colonies. During Queen Victoria’s long reign, jewelry featured intricate metalwork; fabulous stones; and Chinese, Japanese, Indian, and Middle Eastern motifs. A Romantic period diamond and enamel pendant. In the Early Victorian or Romantic period, the inspiration for jewelry came from nature. Delicate motifs and themes from the Middle Ages and the Renaissance were very popular. Bracelets were a popular item, and many were worn on each arm. Larger, more ornate necklaces dominated evening wear, but demure lockets were worn during the day. By the Mid Victorian or Grand period, jewelry design had become bolder and more flamboyant. Greek, Etruscan, and Egyptian themes became popular, due to exciting new archeological finds. By the 1880s, colorless stones became the rage. Because this period corresponded with the death of Queen Victoria’s husband, morning jewelry, featuring jet, onyx, garnet, and amethyst, also became popular. A Victorian mourning brooch that features a lock of hair of a passed loved one. By the Late Victorian or Aesthetic period, when more women were enrolling in university and pursuing the right to vote, fashion changed once again. Women began to limit their displays of jewelry. To wear diamonds in the day was considered the height of bad taste. Coral and semi-precious stones could be worn by day, but precious metals and gemstones were reserved for formal evening attire. Elaborate and often rather formal, High Victorian jewelry is popular among antique collectors. 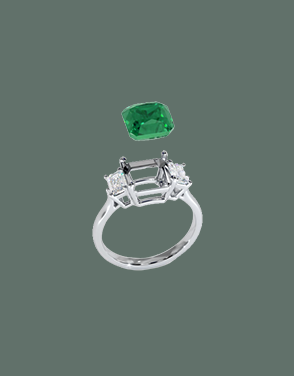 Emerald jewelry that mimics the Victorian style is also widely manufactured and sold today. An Edwardian ring with intricate and detailed metalwork. Victoria’s successor, King Edward VII, inherited an empire at the peak of its power and influence. Edwardian England gave birth to a distinct and influential jewelry style. Edwardian jewelry owes much of its character to platinum, a rare and unusually strong metal that entered the jewelry trade at the end of the 19th century. Although the Spanish recovered platinum from South America during the 17th century, it was nearly two hundred years before metalworkers mastered the techniques for refining and casting it. 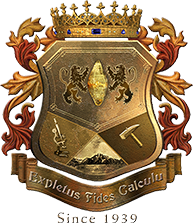 Once they did, jewelers were quick to exploit platinum’s unique properties. This Edwardian necklace is designed in platinum to create sweeping scrolls and the affect of bows. Platinum’s tremendous strength allows it to endure wear even when it is drawn into a thin wire and slender shapes. Fine mesh, dainty garlands, and satiny ribbons, all so delicate they would collapse like wax if they’d been cast in gold, became a trademark of Edwardian jewelry. Edwardian designers adopted a clean, light style that made ample use of classical motifs borrowed from Greece and Rome. With a huge influx of diamond coming from the newly discovered South African deposits, Edwardian jewelers enhanced their pieces with many small diamonds. 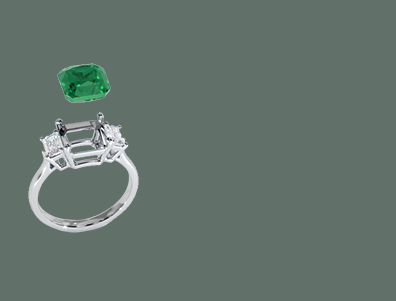 Diamonds and platinum also offered a pleasing backdrop for fine emeralds. While fine examples of Edwardian jewelry are costly at auction, the style is frequently imitated in modern jewelry fashions. Lalique dragonfly pendant with signature enamel work. While Edwardian jewelry flourished in England, continental Europe created a family of styles that are particularly popular with today’s jewelry collectors. These styles were known as Art Nouveau in France and Jugendstil in German-speaking countries. Instead of the prim ribbons and garlands of Edwardian England, the continental styles featured organic lines and themes. Faceted, carved, and cabochon-cut stones, including fine emeralds, were set in complex metal settings and often decorated with fine enamel. Subjects from nature were especially popular, and turn-of-the-century jewelry often featured delicately rendered flowers, insects, fish, lizards, snakes, and birds. 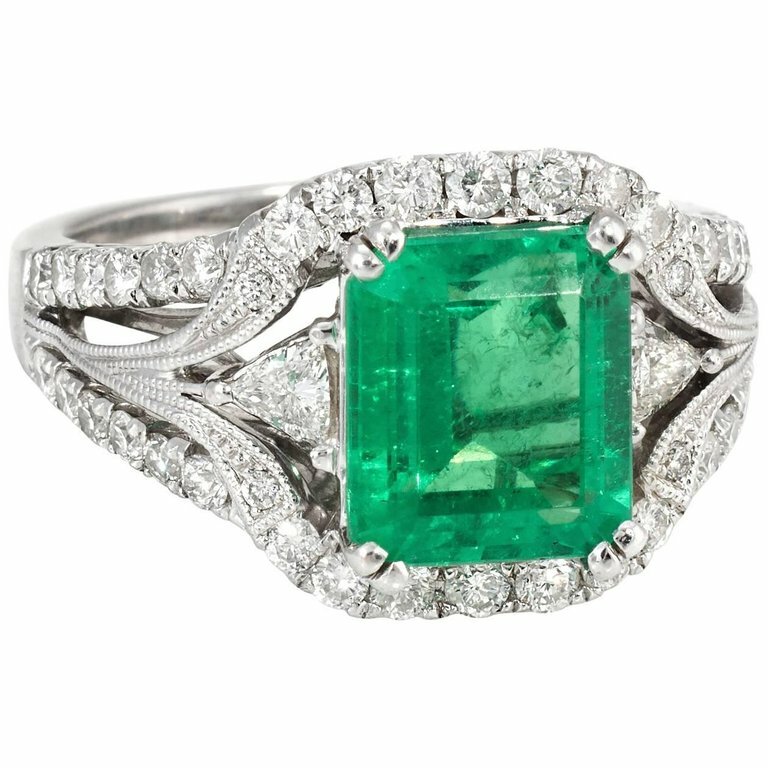 Vintage emerald jewelry includes the colorful glamour of Art Deco and more massive Retro pieces. Vintage styles are highly collectable among connoisseurs, so fine pieces can command prices far in excess of the value of the gems and the precious metals that they are made of. An Art Deco emerald ring set in gold with diamond accents. The term “Art Deco” stems from the Exposition Internationale des Arts Décoratifs, held in Paris in 1925. The Paris exhibition, which included furniture, interiors, and household objects along with jewelry, introduced the world to a radical new style. Gone were the delicate tracery of Edwardian jewelry and the whimsical animals and writhing tendrils of Art Nouveau. In their place came bold, contrasting colors, broad fields of glittering diamonds, and a muscular geometry that reflected the exuberant energy of the machine age. Yet for all that it celebrated modernity, Art Deco jewelry borrowed freely from ancient jewelry traditions around the world. Chinese, Egyptian, and African motifs were reinterpreted in modern materials. Art Deco jewelry was aggressively modern, but its up-to-date techniques and aesthetics also combined an unfettered imagination and exquisite craftsmanship. It is no wonder that Art Deco jewels are still held up as icons of the jeweler’s art, or that grand jewelry houses including Cartier, Mauboussin, Boucheron, and Van Cleef and Arpels cemented their reputations with such work. Emerald and diamond double clip from the Art Deco period. Photo credit: gia.edu. Long dangling earrings were popular, along with cuff bracelets, intricate platinum-set rings, and necklaces and pendants of all sizes. Two types of jewelry belong especially to the Art Deco style: the double clip and the sautoir . The Art Deco style prevailed from the mid 1920s through the mid 1930s, when wartime sobriety tempered its exuberance and wartime manufacturing siphoned off skilled craftsmen for less peaceful purposes. 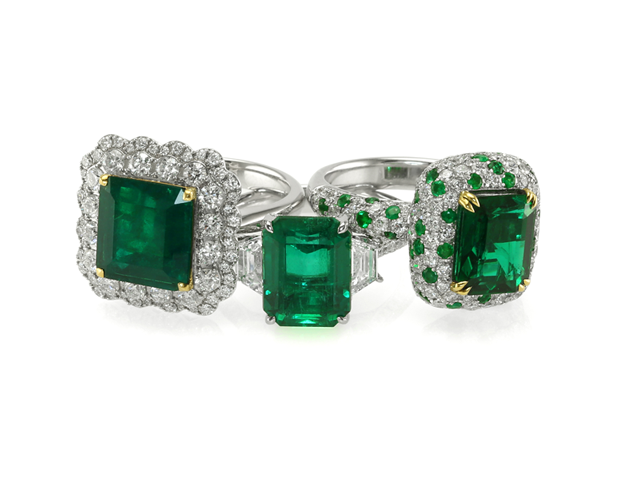 A Retro emerald ring set in gold with sweeping diamonds. Over the course of the turbulent 1930s, Art Deco transformed into a style now called “Retro.” The bold geometry introduced in Art Deco jewelry persisted, but in a more massive and metallic incarnation. Art Deco jewelry was heavily studded with diamonds and colored stones, but metal dominates in the jewelry of the Retro period. Retro jewelry features broad curved, rolling, or scrolled surfaces and blocky shapes rendered in glossy metal. Bullet shapes, fat ribbons, and cylinders are also common motifs. 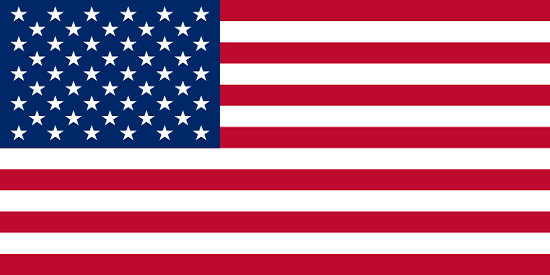 Gold was used extensively in designs of the Retro period, since platinum supplies were siphoned off for the war effort. Pink gold’s coppery hue is still linked with the Retro style in public imagination. 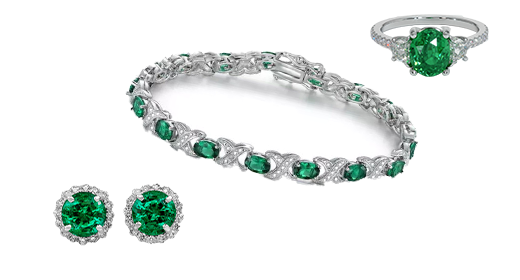 Emerald was a popular stone in Retro jewelry designs, which included large cocktail rings, necklaces, and charm bracelets. Retro jewelry often featured small gemstones, which were frequently channel set. With a thorough understanding of emerald jewelry as it developed across history, we now jump into Diversity in Modern Emerald Jewelry.